Phnom Penh (FN), Jan. 25 - At the invitation of H.E. Ms. Federica Mogherini, High Representative of the Union for Foreign Affairs and Security, and Vice President of the European Commission, His Excellency PRAK Sokhonn, Deputy Prime Minister and Minister of Foreign Affairs and International Cooperation, led a Cambodian delegation to attend the 22nd ASEAN-EU Ministerial Meeting (22nd AEMM) on 21 January 2019 in Brussels, Belgium, the ministry wrote in its press release dated Friday. 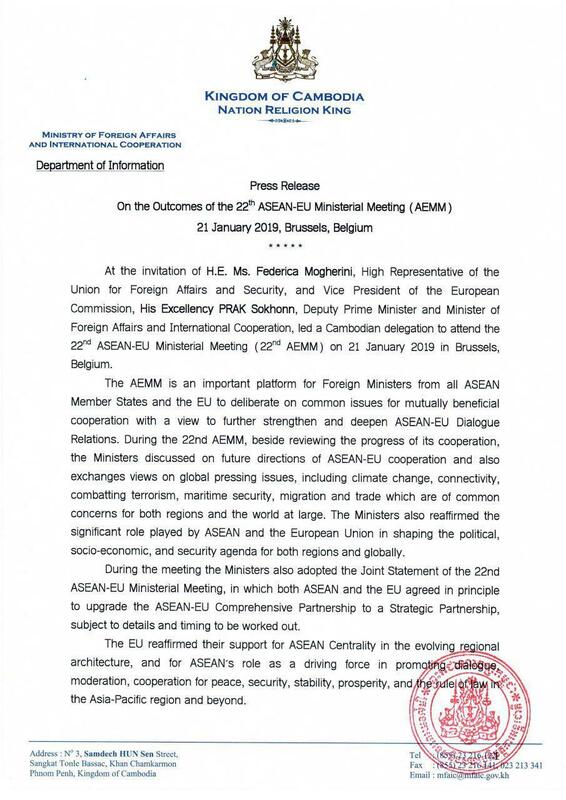 “During the 22nd AEMM, beside reviewing the progress of its cooperation, the Ministers discussed on future directions of ASEAN-EU cooperation and also exchanges views on global pressing issues, including climate change, connectivity, combatting terrorism, maritime security, migration and trade which are of common concerns for both regions and the world at large. 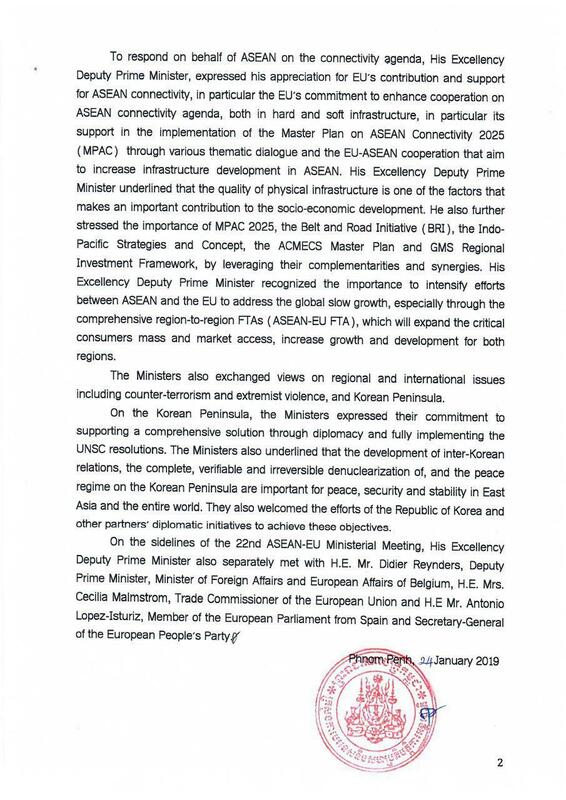 The Ministers also reaffirmed the significant role played by ASEAN and the European Union in shaping the political, socio-economic, and security agenda for both regions and globally,” the press release added.